Dracula is not a novel. It’s the censored version of Bram Stoker’s after-action report of the failed British Intelligence attempt to recruit a vampire in 1894. Kenneth Hite has restored the deleted sections, inserting annotations and clues left by three generations of MI6 analysts. This is Dracula Unredacted. Follow those clues to The Director’s Handbook, containing hundreds of encounters: shady NPCs, dangerous locations, conspiratorial nodes, and mysterious objects. 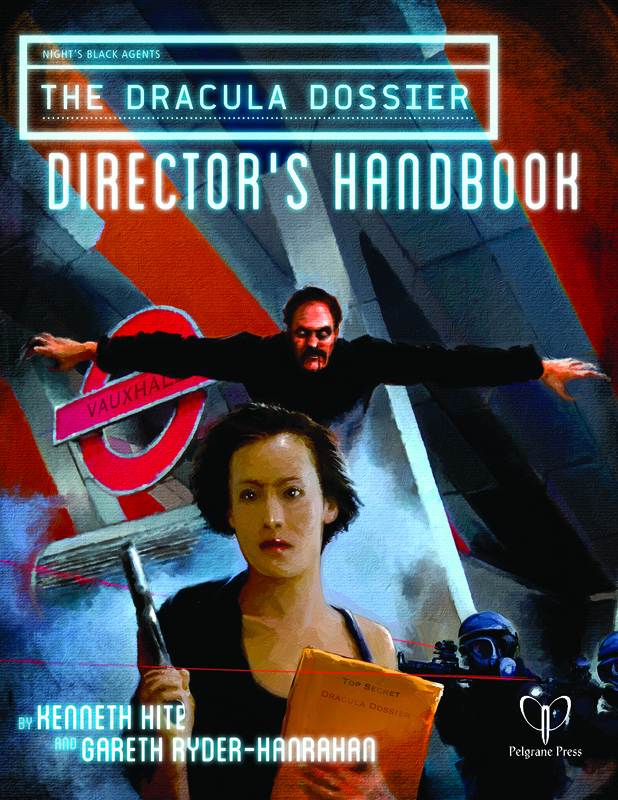 Together they comprise The Dracula Dossier — an epic improvised, collaborative campaign for Night’s Black Agents, our award-winning vampire spy thriller RPG. The mission: Hunt and kill Dracula now, once and for all, before Britain falls to him forever. I interviewed Kenneth Hite about the creation of the Dossier, advice on running it, and other topics. It’s coming to stores this week and the PDF is already out! 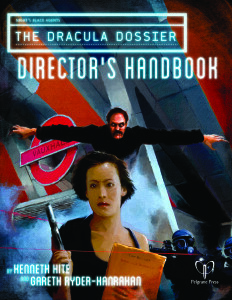 Check out the free resources available for running Dracula Dossier. 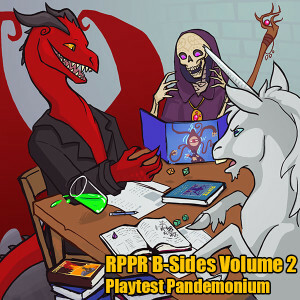 News: RPPR B-Sides Volume 2 is now available! Get 24 actual play episodes and help support RPPR. This volume has playtests, con games, and more! In other news, Boiling Point is still being worked on as is the Sparkles supplement for Base Raiders. Also, Gen Con 2015 event submission has opened up. Contact Arc Dream if you want to run games and get a free badge and product. Synopsis: The Final Revelation is the shortest complete campaign we’ve run at RPPR, but its complexity and depth merits a good post mortem discussion. Caleb, Aaron, and I discuss our experiences playing and running the game, purism vs pulp in cthulhu mythos gaming, player agency in RPG design, and other related topics. Tom wasn’t able to make this episode so no letter but we do have shout outs and a very special anecdote about shark fighting. Escape Goat 2: A great puzzle game about a magical goat and his mouse BFF. Silver Screen Fiend: A new book from Patton Oswalt about his addiction to cinema. Bad Robots: A UK prank show themed around malfunctioning technology. Concrete Grove: Not quite a solid recommendation, but I read the entire book for what that’s worth. Whiplash: A film about jazz, abuse, and obsession. Tokyo Ghoul: an anime about the occult, cannibalism, and milquetoast student protagonists. Breaking new ground in anime tropes! Touch of Cloth: A hilarious cop show parody similar to Police Squad, but way, way dirtier. 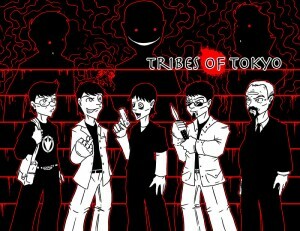 Thanks to Crazon for the art! 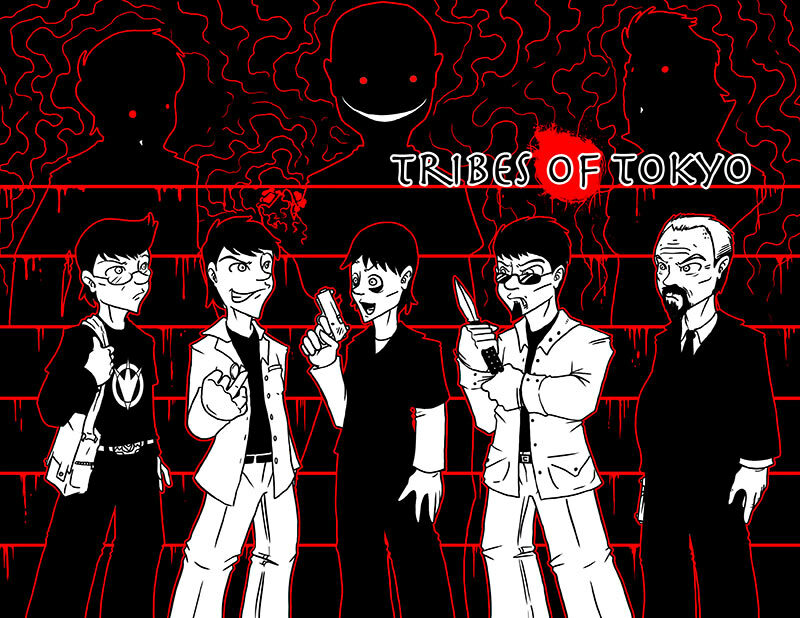 Synopsis: After the conclusion of our Night’s Black Agents campaign, Tribes of Tokyo, we sat down to discuss what went right and what went wrong. I talk about my inspiration for the campaign, including the Long Vaults. Caleb, Aaron, and Tom describe their experiences playing the game, including their critique of Night’s Black Agents as a game.